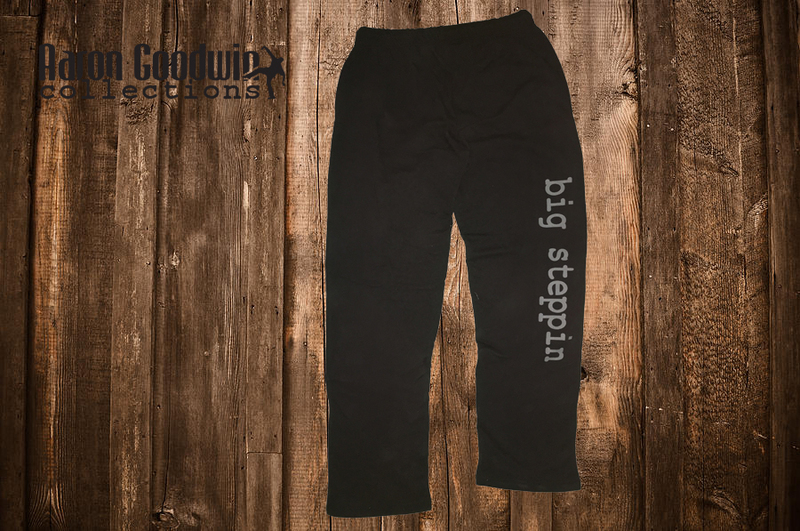 These sweatpants have elastic and drawstring waistband with open bottom leg. 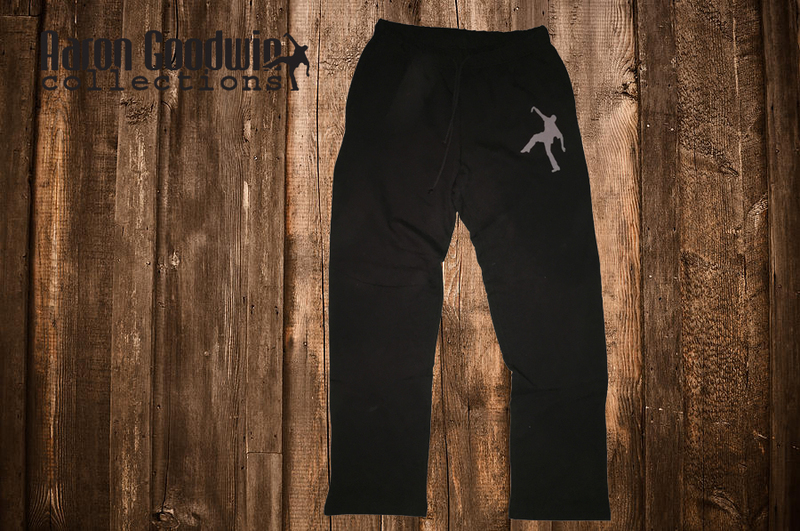 100% Cotton Fleece pants by Canvas. 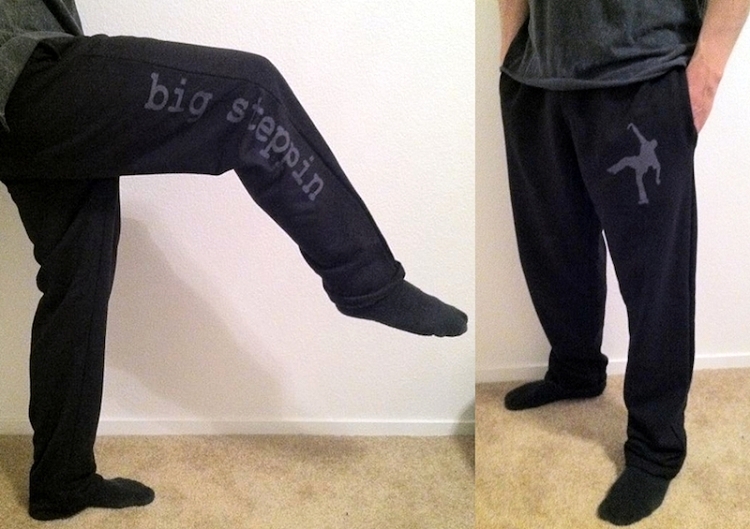 The words “big steppin” are on the outside of the right leg. Looks great with a big steppin hoodie!